This entry was posted on Friday, May 3rd, 2013 at 7:27 pm	and tagged with bullwhips, whip making, whips and posted in bullwhips, nylon whips, whip handles, whipmaking, Whips. You can follow any responses to this entry through the RSS 2.0 feed. Mr. Kelly, I am an admirer of your work. If you don’t mind I would like to ask a question. 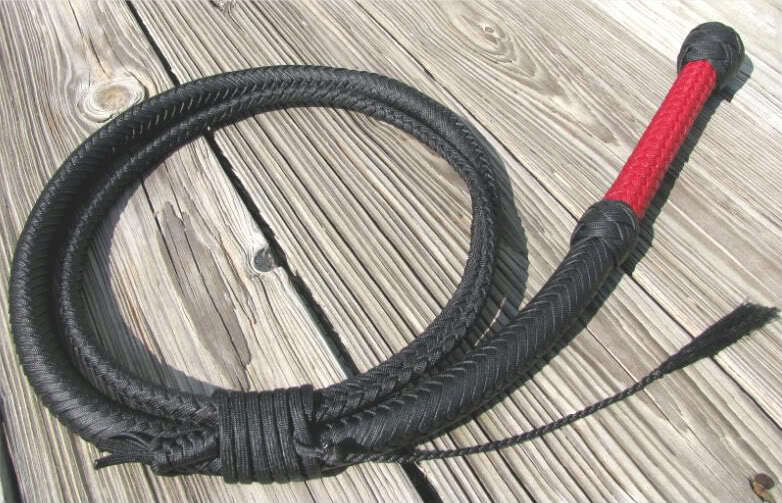 What keeps the whip from separating from the handle on the Young Indy whip when you crack the whip? It is bound tightly with sinew. I’ve never had one come apart. If it’s wrapped correctly, it shouldn’t.